Again a couple of years ago I was able to get a commission piece from Jun Bob Kim of Grendel VS Tujiro XIV. 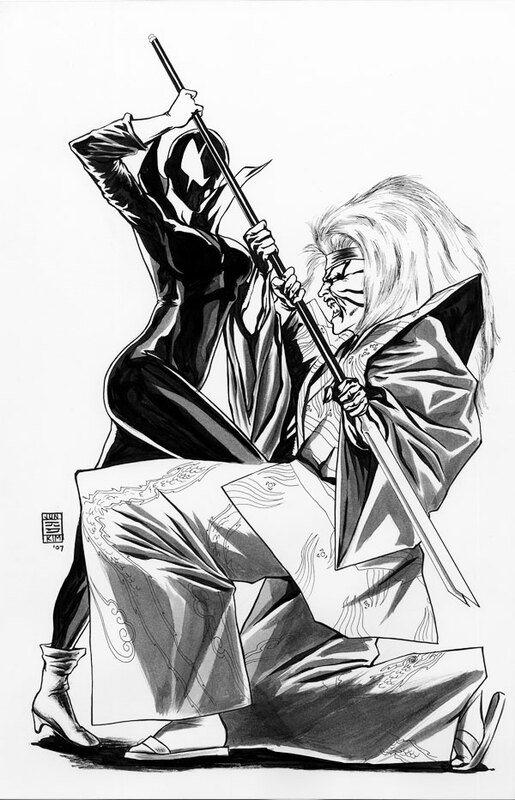 Now I know this is another Grendel image, and there will be more coming, but this one was the Christine Spar Grendel who as Hunter Rose’s advisory was a Werewolf she had to face off against a Vampire. Now Even thought Eppy is my favourite Grendel I do like Christine and her following the teachings of Hunter while she falls into his mindset. If you haven’t read any of her stories I would recommend picking up the trade of her mini series from Dark Horse which was originally published by Comico. Click on the link below if you wish to get a copy yourself.